After visitors are picked up from their hotel, the journey begins with a trip to the Goa Gajah temple, which is translates as “Elephant cave”. The facade of this sanctuary is covered in animals and demons carved from stone. Next, head to the Tirta Empi temple in Tampaksiring. 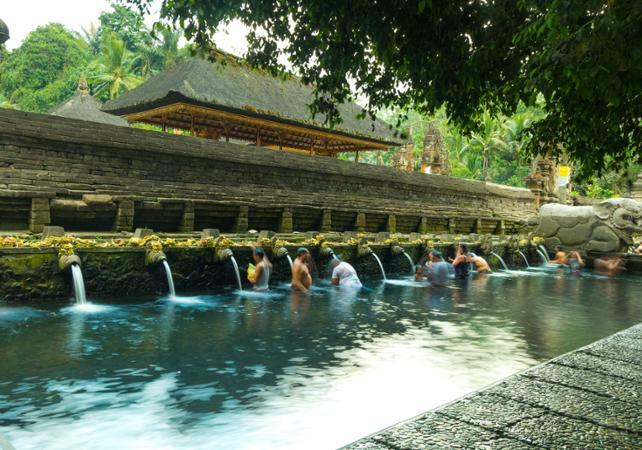 This sacred site in known for its water; locals come here to purify their bodies and souls during spiritual rituals. Enjoy a buffet lunch before continuing on to Kintamini. 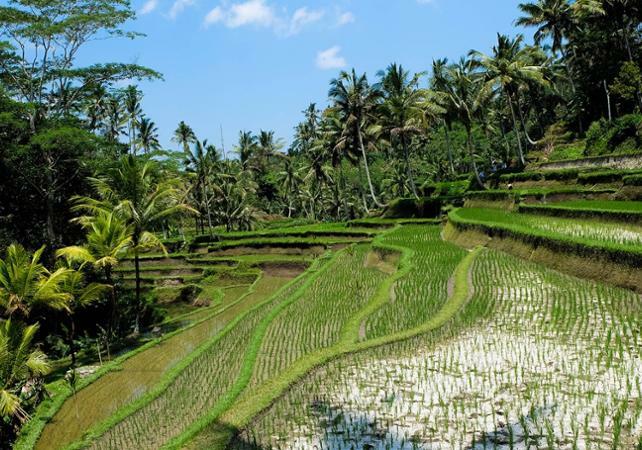 From there, admire Mount Batur, a volcano that is home to a vast caldera. Take a moment and relax in the springs that are heated by the volcano. Afterwards, continue on towards Pulina to visit a coffee plantation. 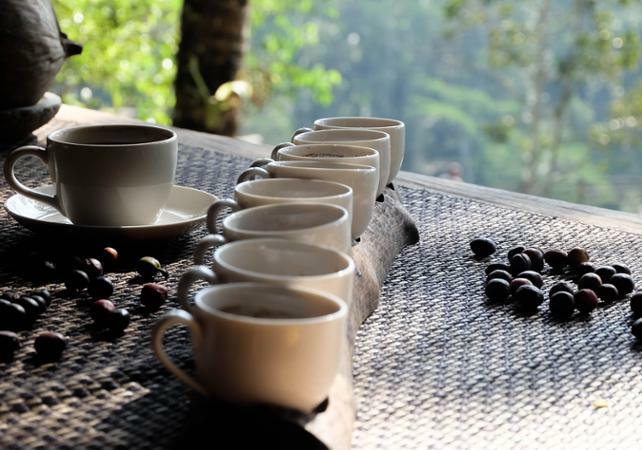 Taste the most expensive coffee in the world: Luwak coffee (Civet coffee) Visitors will also explore Tegalalang where there are fantastic views of the rice paddies. 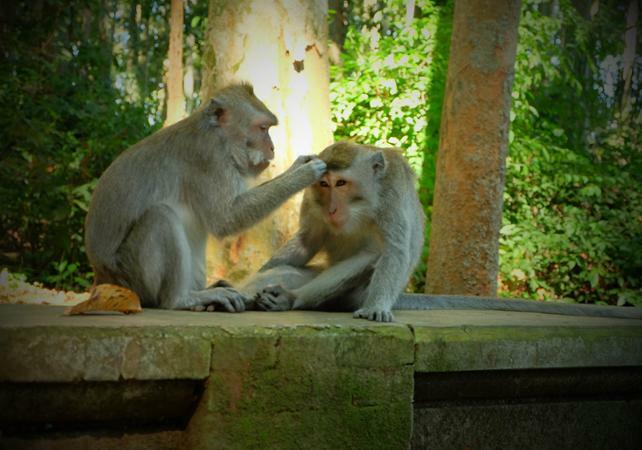 Finally, head to Ubud, and enter the Ubud Monkey Forest, where more than 500 monkeys live. Madi a été super. Il a pris le temps et s'est adapté à notre rythme.